L-Carnitine 1500 HEAT uses a trifecta of three different Carnitine supplements to help ignite your metabolism, enhance calorie burning, and accelerate fat loss without the use of any stimulants whatsoever. Carnitine enhances your body’s ability to burn fat for fuel, potentially transforming you into a pure fat burning machine. The combination of proven fat loss agents in L-Carnitine, Grains of Paradise, Green Tea, and Gamma-Butyrobetaine (GBB) can provide rapid results leading to superior body composition. Carnitine allows your body the ability to burn fat for energy while training, allowing you to last longer during your workouts, for increased calorie burning and performance. L-Carnitine 1500 HEAT contains no stimulants whatsoever, meaning there’s no tolerance build up and you never a need to cycle on and off. Carnitine is a substance naturally produced by the body that’s found in all cells. It can improve the body’s ability to metabolize fat for energy, thus transforming you into a true, blue fat-burning machine. L-Carnitine 1500 HEAT uses three highly bioavailable forms of L-Carnitine (L-Carnitine, Acetyl L-Carnitine & L-Carnitine L-Tartrate), for maximum effectiveness to help promote weight loss. What is Green Tea Leaf Extract? Green tea is one of the most widely consumed beverages on the planet. It’s loaded with antioxidants and polyphenols (including EGCG), which have been shown to boost metabolism and enhance fat loss. What is Gamma-Butyrobetaine Ethyl Ester Chloride? Gamma-Butyrobetaine (GBB) is a precursor to Carnitine, which has been dubbed as a “Super Carnitine” because of its ability to increase carnitine production by up to 300%! What is Grains of Paradise? Grains of Paradise is a premium grade extract standardized to 12.5% 6-paradol. Research demonstrates it enhances energy expenditure and can reduce body fat, all without the use of stimulants. Who can take L-Carnitine 1500 HEAT? L-Carnitine 1500 HEAT can be used by anyone looking to help burn some extra fat without the use of any extra stimulants, which could affect heart rate or sleep. How much caffeine does L-Carnitine 1500 HEAT contain? L-Carnitine 1500 HEAT contains absolutely zero caffeine. It is a stimulant free fat loss supplement that improves the body’s natural fat burning mechanisms for greater calorie burning and improved weight loss. Do I need to cycle L-Carnitine 1500 HEAT? No, since there are no stimulants in L-Carnitine 1500 HEAT, it can be used continually. What can I stack L-Carnitine 1500 HEAT with? Pre-workout: Stack 1 serving in Vasogen®Powder or K-XR®, for some extra fat burning during your workout. This stuff is delicious and I feel the noticeable increase in body heat about 15mins later! This is great and can’t hurt to use it as it tastes great! Definite treat on a low carb Keto diet! Toss noodles in olive oil then place in pan. Cook until shrimp is thawed and hot. If you like crunchier noodles thaw shrimp first then add noodles and spices. 1. switch fresh Cilantro for the Basil! 2. add some adobo and use fresh garlic instead of Johnny’s. 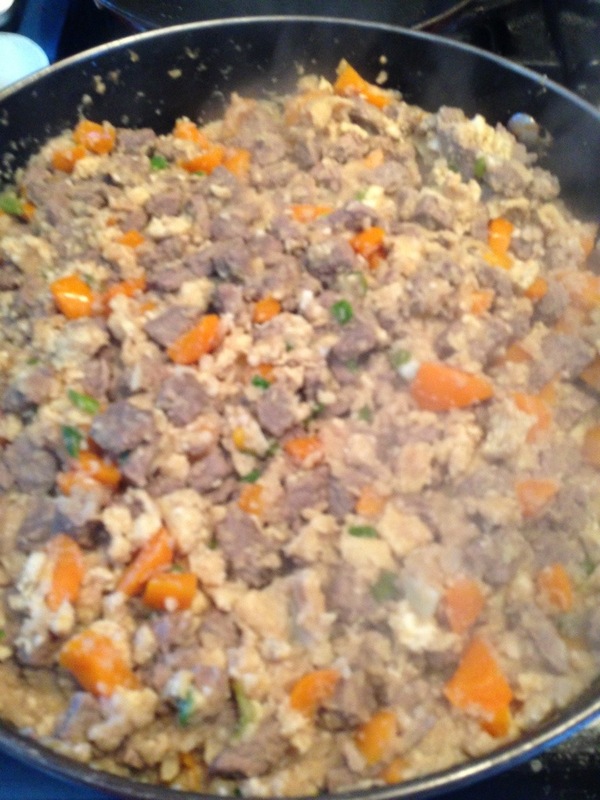 I’m always looking for more recipes that uses grass-fed ground beef, and this is a good one! 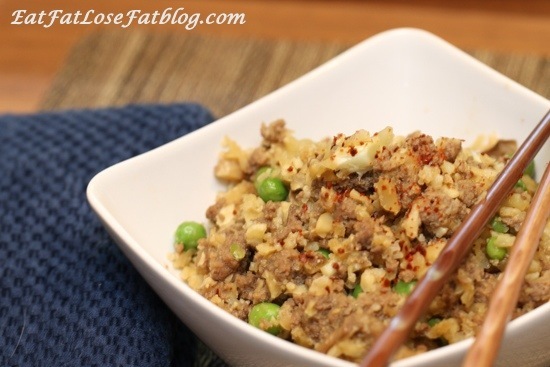 You wouldn’t think that hamburger would make a good low carb fried “rice”, but the meat lends well to the flavors of garlic, ginger and fermented soy. This is a filling and satisfying fall meal. Our family really loves fried rice and I used to make it a lot! It’s a great meal to make because you pretty much use all of your leftover veggies, meat and rice, throw it all together and you have dinner. But since I’m following a ketogenic diet now and eating low carb paleo, I haven’t been eating rice. I had really missed fried rice, but using riced cauliflower in the place of real rice in this recipe really fits the bill. Don’t forget to use a gluten free soy sauce! One note: you’ll see in the picture above that I used peas in this recipe. I won’t do that again. I didn’t think just a few peas would have so many carbs, but I just don’t find that they’re worth the carb count, even in small amounts. Green onions added to the recipe give the green that the recipe needs and a good flavor too. Mushrooms and/or cut up chard or kale would also be a GREAT low carb veggie choice to add to this dish, and add some important nutrients. Let us know how you make your fried “rice” in the comments. Enjoy! I make a bucketful of this recipe at one time, but feel free to cut this in half for your family! In a large saucepan, heat up 2 tablespoons of the oil, ghee or butter and brown the hamburger. You’ll want the ground beef to be in small pieces. While the hamburger is browning, get your cauliflower riced/chopped. I use a food processor and just pulse the florets until they’re in small rice-like pieces. 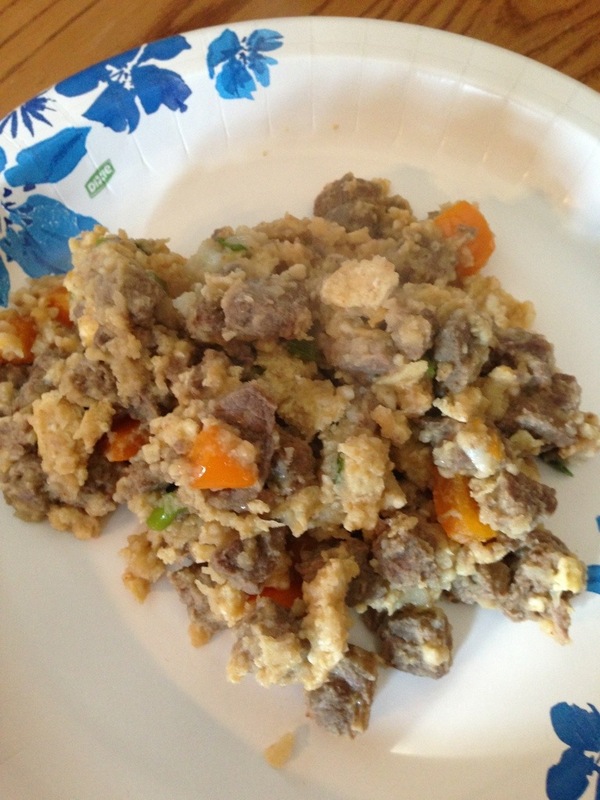 In a small bowl, beat the eggs with a tiny bit of the gluten free soy sauce. Heat 1 Tablespoon of your oil of choice in a separate pan, and cook the eggs in one round sheet (like an omelet). Flip when done on one side, cut into strips and set aside. When hamburger is done browning, add the garlic, ginger, naturally fermented soy sauce, and the cauliflower. Stir until well combined, cover and cook on medium until the cauliflower is done, about 7-8 minutes. Remove cover and turn up the heat to medium high. Add the green onions and eggs (and optional hot sauce or pepper paste). Fry until the remaining liquid is gone, about 5 minutes. Test for seasoning and add more soy sauce, garlic or pepper paste if needed. Ok well first off they didn’t tell you it was ground beef until you read the directions! Tweak: So I bought round steak and sliced it up. Ground beef would have cooked better and more tender. However; with the round steak it actually makes you feel like you are eating steak! Riced cauliflower! Well, I ran into a snag there! 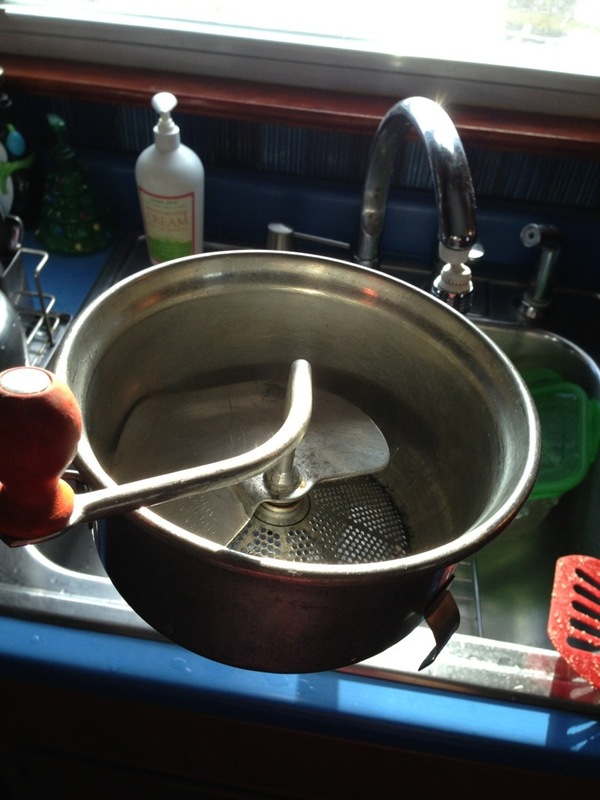 I have an old fashioned ricer and it didn’t want to rice it! Then I tried a little electric chopper and it was jamming! So, I got pissed and dumped the entire head Into my vitamix which ended up almost mashing it! Next time I have to use ground beef and figure out how to rice it! Tweak: don’t forget to use Braggs liquid aminos in place of soy sauce! I added a orange bell pepper that I had left over from the mustard Balsamic recipe. The picture of the fried rice has green peas in it, but the ingredients leave it out, do I forgot to add them! All in all it couldn’t be that bad because, my father went back for seconds! Get Creative! And feel free to share your combinations, and comments!